The revamp was worth it - a decent, entry-level pedal. Offset cam with high-quality bearings. A suitably powerful action. 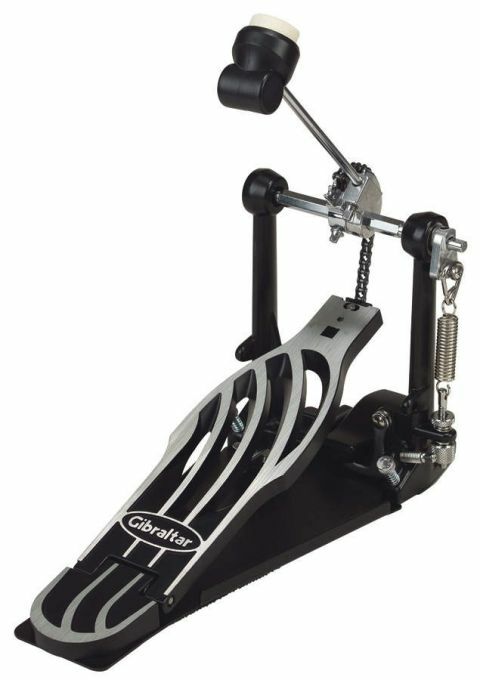 Gibraltar's revamped Prowler now comes with a vented pedal board that gives it a no-nonsense look. It boasts an offset cam and heavy-duty bearings, and the action is suitably powerful, though also supple. Also with an easily accessible hoop clamp and funky dual-sided beater.